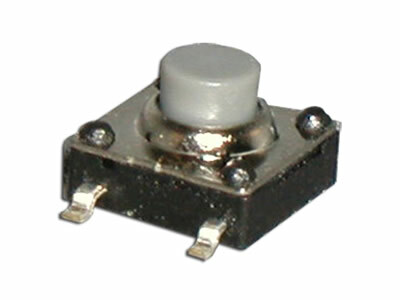 The STS Series IP67 momentary switch has surface mount gull wing termination with IP67 sealing degree. Single Pole Single Throw and momentary, the STS switch offers actuation force choices of 200gF or 260gF. With a stainless steel contact dome, actuation travel for this tact switch is .45mm with actuator length choices of 4.3mm, 5.0mm or 7.0mm.